Grateful Web recently took time to catch up with singer, songwriter, and guitarist Paul Kamm. 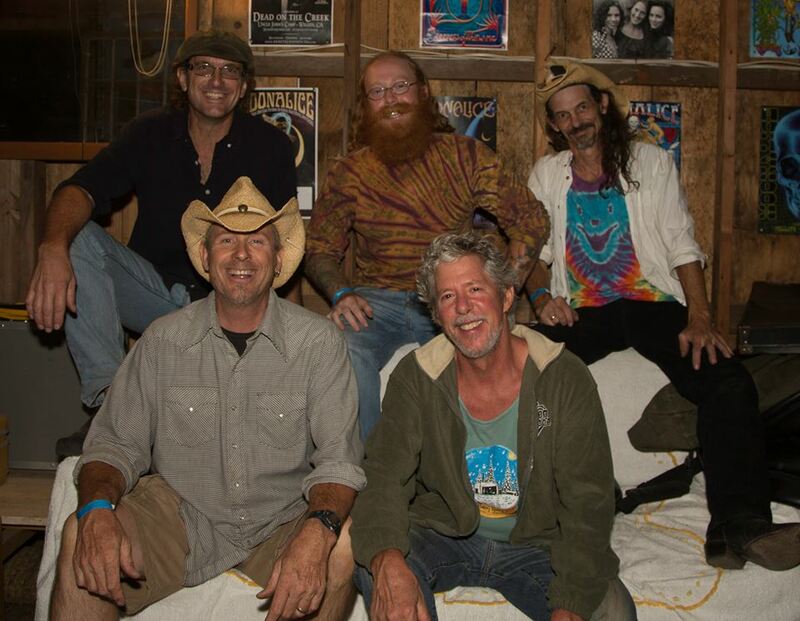 Paul and the band Achilles Wheel has been drawing listeners to festivals like Strawberry Music Festival and plenty of other West Coast shindigs gaining them critical and fan adoration. Their newest album Stones to Sand is an outstanding blend of Kamm’s songwriting and energetic instrumentals. 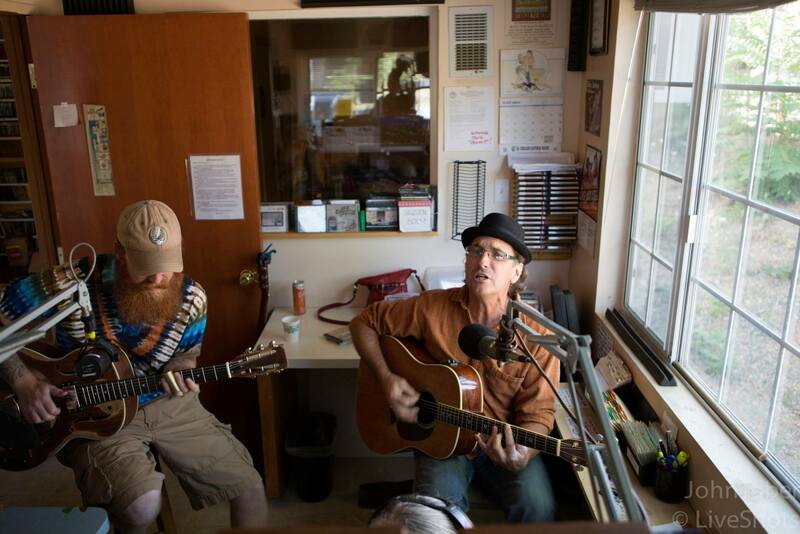 GW: This is Dylan Muhlberg of Grateful Web here with guitarist, singer and songwriter Paul Kamm. Paul has been a fixture in the California and beyond folk-rock scene, recognized most longstanding in his musical partnership with Eleanore MacDonald, whom he has recorded independently and produced nine albums of original music with. Paul is also a member of the psychedelic folk rock band Achilles Wheel, who is experiencing a surge of popularity from their live performance stamina and ability to play expansive different shows every time. Thanks for joining us this morning Paul. PK: Great to be here. GW: Likewise. Growing up what musician did you listen to? Who inspired you to play? PK: [Laughs] Right to the hard questions man. Growing up I listened to everything from the British Rock Invasion to the West Coast Sound, including CSN and Buffalo Springfield, and also the San Francisco stuff that was happening. But I was also a real lover of orchestral music. So I guess for me it was more just being a sponge and absorbing as much as I possibly could. GW: Absolutely. There’s this idea of Americana in music that often gets associated with certain styles and genres. Do you consider rock ‘n’ roll music to be part of Americana? PK: I think that Americana is a term that has been used long enough that it may have lost some of its deliberateness as a genre description. What I mean by that is that Americana really incorporates anything that could be considered American music at this point. I think while influences like African music, South American, Cuban music, and stuff like that might play into Americana these days, I think that the confusion continues. So while Americana is a worthy term, it almost needs to be combined with other descriptive words to make any sense of it because it’s such a broad category at this point. GW: It’s thrown around often, but represents too many things to have a concrete meaning at this point. GW: Music critics and media will often try to compartmentalize a band into a certain genre or specific style. As an independent musician and producer, what are your feelings on presenting and marketing bands in this way? PK: Well I think it’s a natural tendency for people to want to use whatever descriptive words they can to give a new audience an idea of what they’re in for. I think Achilles Wheel definitely embodies many different influences. We’d like to consider ourselves a roots and world music rock ‘n’ roll band. In certain ways I would throw that back to bands like the Grateful Dead and the Allman Brothers which were obviously coming from a certain scene but incorporated a lot of other things in their song writing and musical presentation. I don’t admonish anyone for using words in that way. Especially when Achilles Wheel is coming across fresh to a new audience. People may hear or read about it before they actually spin the disc. So that’s natural. For us, we fall into the same rhythm of trying to explain ourselves to people who don’t know what we play. You’ve heard that before. “What kind of music do you play?” So then we have to say a one-sentence statement that incorporates a lot of different things. And if somebody walks away scratching their heads about it, it’s the best we can do. GW: It’s almost impossible to represent the depth of your sound in such a short statement. Sometimes it’s not black and white like that. GW: So I have noticed resurgence in popularity with folk, country, and bluegrass in contemporary music. 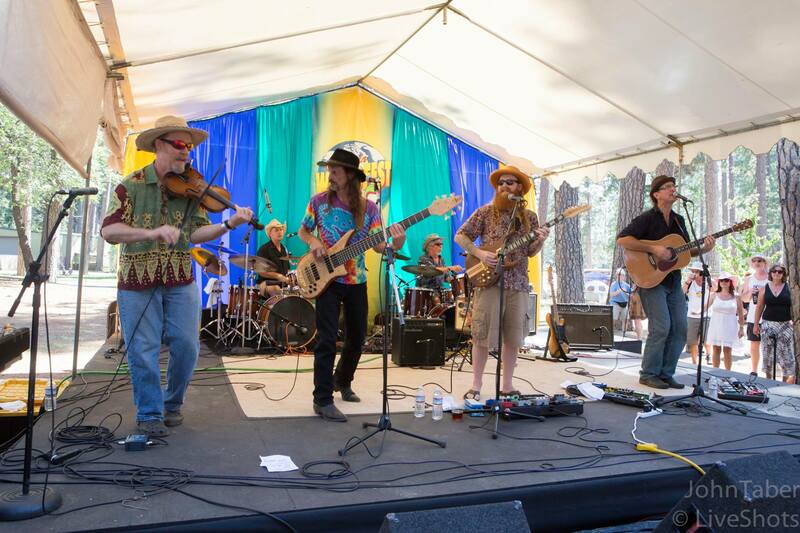 What do you think is drawing people back to roots music? PK: First and foremost, a lot of those original songs embody part of the story of our culture. I think the resurgence of those musical styles is the tip of the hat of recognizing that there was a lot of good that came out of our musical culture. Getting back into what we’re staying in the story today is maybe a compelling reason as to why that is being seen. GW: For being a relatively young band, though many of you have known each other for a while, Achilles Wheel has built a lot of momentum in three years. Can you talk about your history with the other members and bringing together the band? PK: Some of the guys in the band, one of the drummers Gary Campus and I have been playing together since I was nineteen years old. Along the way I’ve played in a lot of different bands, some of them include the players who are now party of Achilles Wheel. Jonny and I met most recently, about six years ago. And we came from pretty different backgrounds musically. But we started to play in roadhouses and bars. It pretty quickly occurred to us that this chemistry was there so effortlessly. It wasn’t our first band. I think that after a number of years of playing in a lot of different bands, which I’ve appreciated very much, Achilles Wheel came along at a time when I didn’t expect something this special to come out of the ground. And when it did, we started realizing that we had a backlog of original material. So about three years ago we cut an album called Thirteen Hours. And since then we started playing really a lot. So, Stones to Sand was a way of catching up on what we had been playing in front of live audiences for a couple of years. Consequently it’s a pretty long record. We had to get a reflection of what we were doing as a live band onto Stones to Sand. I think in the three years since we’ve gotten serious about what were doing, it’s been a joyous occasion pretty much every time we get up onstage to play. So we’re having a great time. GW: Do you think that having played the cuts off of Stones to Sand previously live in concert gave you an edge when it came to recording the tracks in the studio? PK: [Laughs] Perhaps, though because we do like to play extended versions of most of our songs. When it came down to cutting this record we decided we would try to employ the tactic of some of our mentors in the past did, which was “can you say it in four or five minutes or less.” Except there were two songs from the record that were birthed in the studio, but the rest of the record was songs we had been playing for a good long time. And the challenge there was to arrange them, and to figure out what they should really be as songs. It was a great process for us because it taught us basically how to write better songs. GW: There’s a certain organic variety that the record encompasses. I did a little research into your past projects and though I’m sure you’ve been plenty of electric full-band stuff, much of what you’ve played has been folk acoustic. Was playing with Jonny in a full-electrified band a transition for you and your music? PK: I think that I’ve had parallel courses with the rock ‘n’ roll thing and the folk, singer/songwriter thing. My wife Eleanor and I have been playing for a lot of years, and as you’ve mentioned we have nine CDs. And we spent much of our playing in the singer/songwriter folk genre, where there was less jamming, and more about the songs. From the time I picked up a guitar that was what I was really into. It’s about whether or not you can state a clear point in a song with just a guitar, your voice, and the song that you’re singing. I think that the electric thing that ran parallel to that feeds off of my desire to write songs the best I can, and to play loud rock ‘n’ roll that gets people off their feet and dancing. Its like two sides of the same coin that need each other. I don’t think that the rock ‘n’ roll experience would mean as much if it weren’t for the desire I have to speak through the songs or all whatever is it coming through me to speak through the songs. To try and have meaning there as well as the music and the dance. GW: It’s your expression regardless of the vessel of electric or acoustic. PK: Yeah, and a lot of the people that I admire from the past did both. Certainly there are a lot of artists who played with just an acoustic guitar or bands that made a lot of noise. It’s that balance that’s most important. GW: Couldn’t agree more. “Stones to Sand” has foundation is so many different styles. Country-Rock, gospel, blues, jazz, folk, amongst others. When listening to track after track, its almost as if each individual song could have been an entire theme for its own album. Was this level of diversity something you envisioned before and while you were cutting the album? PK: It came together that way because these were songs we had been playing for the last couple of years, the challenge was how we made the song list and how to present it. There could have been plenty of ways for us to mess that up or have it seem like it was out of place. With fourteen songs running from ballads, to folk music, to really high energy rock ‘n’ roll, we thought about it but when it came down to finding how the list was going to run we pretty much threw it up in the air to see how it landed. GW: It all gels together pretty well, considering that I had never heard the band before I listened to the record its impressive how well it came together in all the variety. Achilles Wheel, as far as I could tell is a collaborative as far as leadership goes. Your co-guitarist, Jonny “Mojo” Flores has a complimentary but distinctly different style than your own. Has blending backgrounds come effortlessly or has their been concessions as far as how to play what? PK: I think that every person in this band is an equal voice. Obviously when you sit around a table and discuss something there’s gonna be a give-and-take or a push-and-pull. It’s been a really cooperative collaboration. I would like to express that openly. We recognize that there’s something in it that we already love. We make an effort to allow each voice to speak. I know for a fact that Jonny is actually very giving as far as space. He’s an exceptional lead guitar player, at the point of where I could easily be intimidated. We don’t currently have a keyboard player so he’s taking on much of the lead work. But I have to tell you that him and everyone else in the band pushes me in there to do it. It boarders on being traumatic to play lead. And Jonny is really cool about it, which makes it okay. Nobody is looking down their nose at anybody. It’s really a great bunch of guys. GW: You Challenge one and other to play what the others know that you’re capable of. GW: It’s clear that Achilles Wheel is capable of blistering instrumentals with tons of big energy, but it’s the songwriting that really takes the band to the next level. Is songwriting and lyrics a shared duty or are you primarily writing all of the original material? PK: I have been an obsessive-compulsive songwriter my whole life. I wouldn’t know how to describe it. Since I was fifteen years old and somebody gave me a guitar, I realized how magical it was and it was what I was driven to do, to write songs. I think the other guys came into it in their own way a little later on. Jonny is quickly growing into a monster songwriter and its really a pleasure to see because I don’t think he came from a background where people embraced presenting original music. But as we go, I think we’re all seeing that the original music is being embraced by our audiences, and the sheer musicality of it, that we are getting more excited about taking part in that process. I certainly have been doing it as a focus for my whole life. And I think it’s getting to be equally important to the other guys. It’s continuing to grow. GW: I certainly look forward to seeing that growth and the band live in concert. Speaking of which I know the band has done quite a bit of west coast touring. Is Colorado in your future touring plans? What’s in store for the future of taking the band on the road? PK: We’re looking to get anywhere we can go. Jonny and I made a couple of forays to the east and southeast, introducing the people to our music out there. We have plans to do that out there in addition to getting the band out on the road. Certainly let us know when were in town. It would be great to see you at one of our shows out here. But trust that we’re gearing up to get on the road. It’s a work in process. GW: There are plenty of venues that would embrace this sort of music. It’s just too strong to not make its way out. PK: Thanks very much Dylan. I appreciate that. GW: That’s all the questions I have today for you Paul. 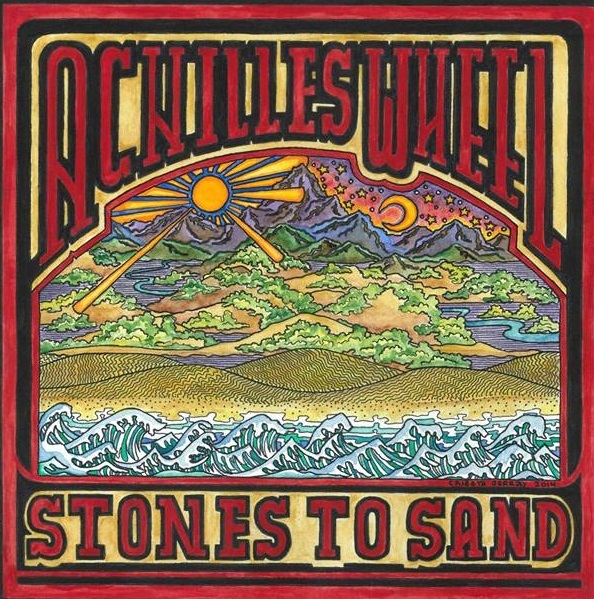 I wanted to thank you for your time and encourage our listeners to support Achilles Wheel by buying and listening to Stones to Sand and going to see your shows live. PK: It’s been a pleasure. Thanks Dylan.